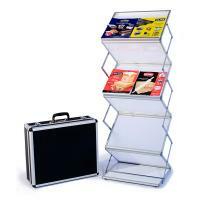 We carry trade show display accessories sucah as carrying and shipping cases, lighting kits, shelving, and replacement graphics for many different display systems, like Arise, EuroFit, and ShowStyle. 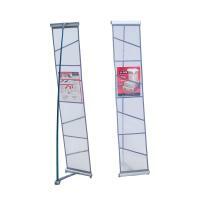 Trade Show accessories at competitive pricing allow you to customize your floor standing display or table top display with affordable add-ons to enhance your marketing capabilities at your events. 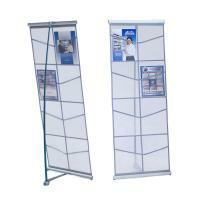 In addition to Trade Show Exhibit Booths and Displays, we offer Trade Show Display Accessories for every need! 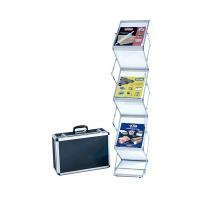 From Display Lighting, Shipping Cases, Display Cases, to Banner Stands, Display Graphics and Banners, and Portable Literature Racks...we have it all at low, competitive prices! No Sales Tax Outside Massachusetts! Replacement parts and Display Accessories for all Exhibit & Display Manufacturer's Brands including Arise Pop Up Displays, Retractable Banner Stands and Banner Displays, Orbus Displays, ShowStyle Briefcase & ShowMax TableTop Displays, and many more! Located in Massachusetts, we serve customers in Connecticut, Rhode Island, New Hampshire, Maine, and Vermont, as well as all across the Country & Canada.